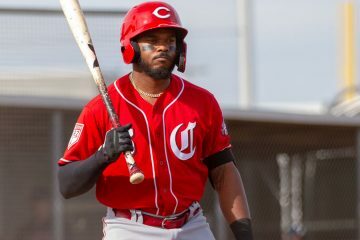 Before the Cincinnati Reds and Los Angeles Dodgers made their big trade in mid-December, Phillip Ervin seemed to be a near lock to make the 2019 opening day roster. But when the Reds went out and acquired Yasiel Puig and Matt Kemp, things got a bit dicier. It wasn’t a crazy idea to still think that Ervin could make the roster as an outfielder. Especially since the team wasn’t sure that they had a center fielder and he’s capable of handling the position. 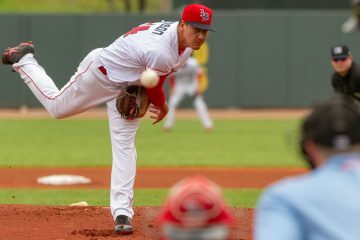 But within the last month we’ve heard Cincinnati manager David Bell note multiple times that he thinks the team will have a 13-man pitching staff for most of the season. And that would leave the team with a bench that would include three position players and whoever the backup catcher would be. That makes it very tough to see where Phillip Ervin could play his way onto the roster. That is unless injuries happened or a trade before the season begins opened a spot. That’s not going to stop him from making it a tough decision. And through five games played, that’s exactly what Phillip Ervin is doing. He’s hitting .455 with three walks and just one strikeout. He’s also homered twice and doubled. Small sample size alert, of course, but he’s killed the baseball when given the chance thus far. When you look at the skillset of Phillip Ervin, he makes a lot of sense as a backup outfielder. He can play all three outfield spots capably. There’s a little bit of pop in his bat, and he’s got a solid understanding of the strikezone. That gives him value as a pinch hitter and spot starter. But he’s also a good base runner, too. He hasn’t run a ton in his big league career, he’s 10-for-12 in 106 games played. But he’s stolen 30+ bases in the minor leagues three times in his career. When looking at the 90-foot running splits made available via Statcast, Ervin is the fastest Red on the team in 2019. He’s got value in multiple aspects of the game, even if he may not be a starter at this point. Despite being a rather well-rounded bench player, there just doesn’t seem to be room for the former 1st rounder on the Reds roster. With an outfield that seems like it’s going to include Jesse Winker, Nick Senzel, Matt Kemp, and Scott Schebler, and the short bench – the roster spot just isn’t there. If the Reds wind up going with a 12-man pitching staff, that probably doesn’t open up a spot. That could leave the bench with two of the previously mentioned outfielders, Derek Dietrich, Jose Iglesias, and the backup catcher. If there’s not a spot in Cincinnati for Phillip Ervin, he’s probably heading back to Triple-A. Last year he put together his best season there since the year he was drafted. 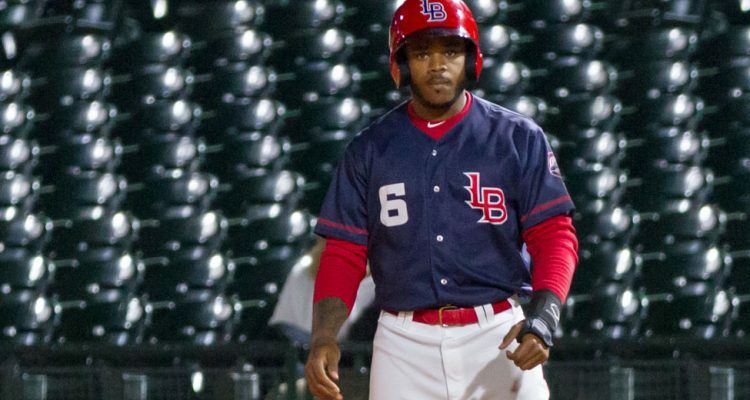 In Louisville he hit .289/.373/.491 for the Bats in 48 games and 202 plate appearances. The sample size is only a third of the season, but he performed quite well and probably doesn’t have much left to prove in the minors. But he’s got options and that’s likely going to come into play. You mentioned Jesse Winker, Nick Senzel, Matt Kemp, and Scott Schebler are we including Puig? 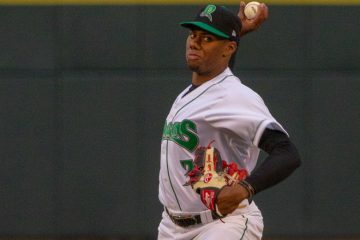 Reds drafted Ervin in first round, have paid him a ton, and paid coaches a ton to teach him to be a pro. Have faith in your home grown talent ! He’s a better defender, base runner, and hitter than Schebler. All Schebler has on him is power and experience. If senzel is in center this year than ervin is more likely an upgrade defensively over nick and can be a quality late game sub when needed. Another note is he can be sent up and down vs Schebler having to stay up whole season. I don’t think Ervin or senzel start season in bigs however (hope I’m wrong). Think reds will go conservative and have Schebler up with other 3 then when nick comes up they dfa Schebler, Ervin comes up too and then Ervin goes up and down a couple times this year barring no injuries so they can keep their 13 pitching staff in place. 90 percent of us wanted to see homer cut last year. Reds kept him and actually traded him some how. So no way they’ll just cut kemp and no way they’ll keep Schebler and cut kemp just to keep Schebler on the team from a pure financial perspective. Why would they da schebler? Underrated talent, that is getting better-if he can stay healthy. Kemp will be traded by July opening up more PT for Ervin and Senzel. Both of who could use more seasoning in triple A until July. You are under evaluating Scheb but like you, I do agree that Ervin is a better player in nearly every aspect. The Reds would be better served trying to flip Schebler and Kemp. But I think that the Reds are going to put Ervin in AAA and then try to trade Schebler and Kemp as the trade deadline approaches. I think the problem is an over abundance of outfielders in the majors right now. What teams would be desperate for either Schebler or Kemp? The Mets and Indians come to mind. Schebler can hit when healthy. Kemp can hit while young. Hes 34. What do you consider young? He is already past prime. 34 is young to me, and probably to you, but it isn’t for purposes of hitting Major League pitching. Matt Kemp was a monster in his mid-20s. Now he’s just about league-average. He had a very good first half last year, with an OPS+ of 139 (and .362 BABIP), followed by a post-ASG OPS+ of 97. I think that Ervin has more to offer to the Reds this year. Kemp, though, would have some value to a team needing a LF/DH type to get 450 ABs. That just isn’t the Reds. Puig and Winker both figure to be much better, as does Schebler in my opinion. Am I ? How many 4/5th outfield battles can u name out of other 29 teams ? How many times at Mets or Indians minor leagues dot coms are their fans saying – go get Schebler ?? The last fourth outfielder of note trade was Domingo Santana after a breakout season that got national attention and brewers got next to nothing for him after trying to trade him for 6 months. If Jose Iglesias and deitrich are givin minor league contracts then Schebler is nothing more than a replacement level player and 90 percent of average baseball fans that don’t frequent this site have never heard of him. Schebler is not a replacement-level player. He had an OPS+ of 126 last year, until he hurt his shoulder colliding with the outfield wall and tried to play through it. His career OPS+ is over 100, making him at least a league-average player, which is about 2 WAR above a “replacement level” player. Schebler is exactly the kind of guy that the Athletics always keep coming up with, because they are excellent at spotting value that the guys who read “Mets and Indians minor league dot coms” don’t see. You can make a good case that Schebler should try harder to avoid injury, and to quit trying to play through injuries, but he has performed very well for the Reds when healthy. He is still making near the MLB minimum, so there is no reason for the Reds to want to get rid of him. The Reds have to pay Kemp one way or the other. Their goal is to put the best roster that they can. I think Schebler and Ervin work better than Kemp does for this team, plus I think that some team will be willing to take maybe $1.6 million of Kemp’s contract. The Mets, for example, are light on outfielders, and Cespedes may not make it back at all. I am tired of Schebler apologists. Can we just settle on what he is? He had a 106 OPS + last year. He is a streaky hitter (who gets frequent injuries that then allow people to believe he is better than he actually is). He has more power than average, but his hitting ability is fringy. His defense is fringy at best, and I’m not sure how you can argue otherwise (other than by stating “he has speed”). He’s an average baserunner. He is not a good starting MLB baseball player, but he has streaks where he can tear the cover off the ball. He’d probably be a good bench player, or he’d be fine starting in LF as a 8th best starting position player on a good team. I am higher on Ervin because he has the chance to be an average player across the board (i.e. better than Schebler at everything but power). And he’s younger too. I’d love to see Ervin push his way onto the team and into playing time, but in the end we’re talking about the 4th/5th outfielder and it should really matter too much. The difference between Schebler and Ervin as bench players is probably negligible this year. Because Senzel could move to the infield late in games, Dietrich vs Ervin would be another discussion. What a difference the FO has done assembling legitimate depth. 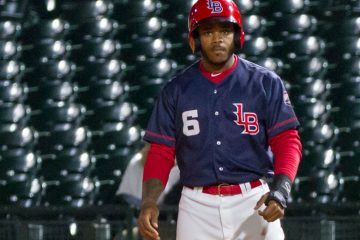 A competitive Reds team will have guys like Ervin, that are ready for a major league role, available for recall at Louisville. In 2017, Ervin got off to a hot start in the majors and then fizzled down the stretch. Last year was among his best in the minors and he was solid with the Reds. He’s not spectacular, but I think he’s capable of living up to his first round draft pick promise with a current ceiling of an average corner outfielder and a floor of a fourth outfielder. The better he plays, the more comfortable the Reds will be moving an outfielder that clears a path for Ervin. This bench is very odd, as you can only have 4 of the following 5 Kemp, Schebler, Dietrich, Iglesias, Casali. That leaves off Joe, Farmer, and Ervin as possibilities. I think there must be a move coming. and Ervin just hits another homer .429 BA 3 HR. Someone is trying to make this 25 man! No, Not without a trade. He has options and we have too many OFers. Winker is not as valuable overall as Kemp, Schebler or Puig. Winker really only does one thing well which is get on base but the rest of his game is A) poor (power) for corner OF B) Rest of his tools are bad (arm, speed, fielding). His OBP just does not make up for the rest of his short comings. McWax made a good point about Senzel being able to play the infield – if needed. Dietrich & Iglaceas are NOT sure bets to stick. Makes no sense to lose C. Joe back to Dodgers (Rule 5), when he can play corners in/out and catch, while costing less and having years of team control and his Dodgers hitting coach w/ him in Cinn. Dietrich is a butcher and offers zero defensive benefit. The starting OF will be Kemp (until he proves he doesn’t merit the job), Senzel and Puig. The four reserves will be Joe, Ervin, Winker & Farmer. Why keep old, pricey guys who’ve done little more than diddly when you can have Joe, Ervin & Farmer for years to come? Winker is a good bat off the bench. If Peraza gets injured, Trahan can be w/ Reds next day and he’s solid defensively.